We are proud to donate sales of our organic produce to Shipston Home Nursing and help this truly local Charity. Formerly part of Tysoe Manor, we bought the walled garden in 2007. Ten years later the garden has been fully restored and now, amongst the flowers and shrubs, it produces fruit and vegetables including many unusual and exotics alongside traditional beans, peas, tomatoes etc. 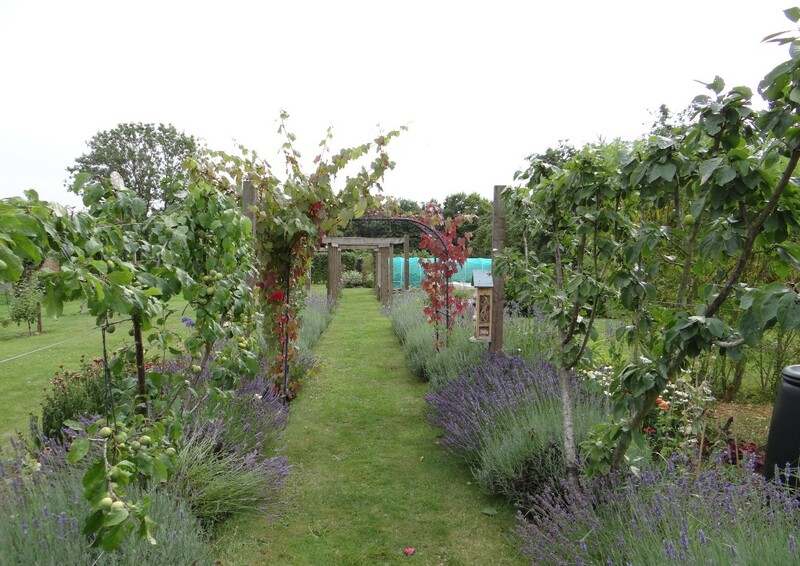 The garden is managed organically and produces more fruit and vegetables than can be personally consumed, so any excess is sold on a table at the bottom of the drive on Shipston Road, Upper Tysoe. This gives locals and passers by a chance to buy organically grown fruit and vegetables at very reasonable prices. The year usually starts in late February with the first rhubarb crop, followed by a range of products including, different varieties of tomato, beetroot, asparagus, beans, cauliflower, courgettes, cucumbers, peppers, leeks, cucamelon, gooseberries, inca berries, loganberries, strawberries and more, ending the year in December with mistletoe. The sales table is put out depending on the weather and what produce is available, so worth a drive or walk past in case there is something you want. Each year the proceeds from these sales are donated to charities, Shipston Home Nursing was a beneficiary of this from the 2017 sales.